This week’s Take Action Now features ways you can support migrants from Central America arriving at the border, as well as a report on Wall Street companies profiting off of the immigrant detention industry. Members of the migrant caravan vilified by President Trump and the right-wing media have arrived at the US-Mexico border to ask for asylum (a completely legal act). 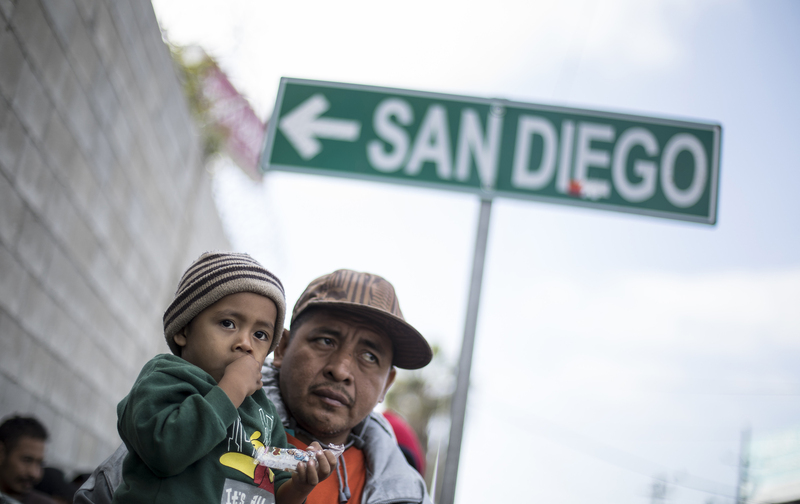 After traveling for thousands of miles from their homes in Central America to escape poverty, discrimination, and violence, the migrants were initially told the port of entry had “reached capacity” before the first eight were finally allowed to enter the country on Monday night, with only a handful more following them on Tuesday. Donate to a fund created by Undocumedia and Pueblo Sin Fronteras, and help the migrants access food, shelter, diapers, sanitary pads, blankets, clothes, and other much-needed items. Many members of the caravan wanting to claim asylum have camped since Sunday outside the San Ysidro port of entry and are still waiting to be let into the country. Contact your members of Congress at (202) 224-3121 and demand that they ask US Customs and Border Patrol to let rest of the asylum seekers into the country and to quickly process their claims. With 71 percent of people detained by ICE held in privately-operated facilities, the private prison industry is one of the largest beneficiaries of anti-immigrant policies. The Center for Popular Democracy, Make the Road New York, Enlace International, New York Communities for Change, and the Strong Economy for All Coalition recently released a report that found that Wall Street companies such as JP Morgan and Wells Fargo not only profit from the industry: they massively increased their investments after Donald Trump was elected president. Check out the report here, then write a letter to one of the companies and share some of the report’s most potent facts on social media using the hashtag #BackersofHate.